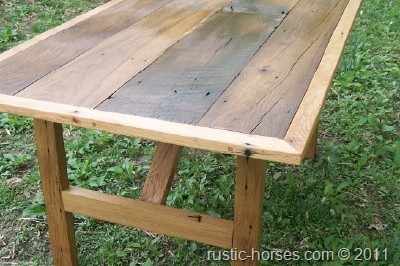 Another great looking barn wood farm table with benches from Rustic-Horses.com built from actual authentic barn wood. 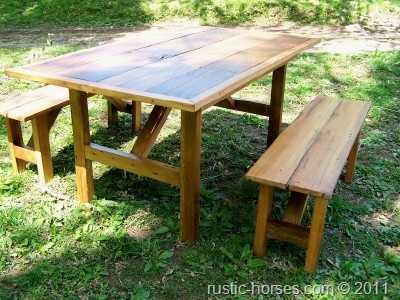 This is original table #41611. It is 5 ft x 3 ft and has a border round the top. 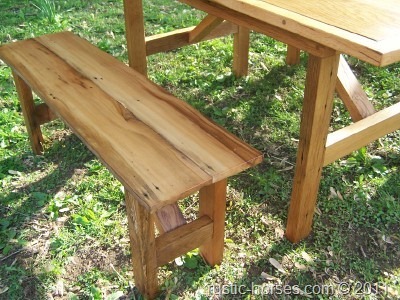 It comes with 2 benches. 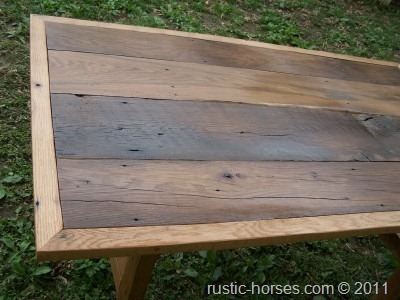 This table is $600. We can custom make one in any size just for you. 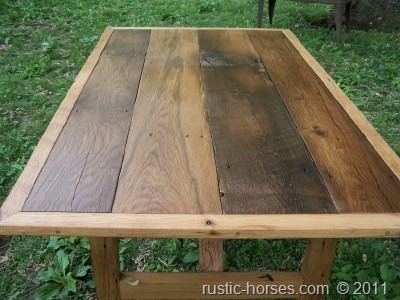 What is the price of this table 41611 shipped to Riverton, Wy. 82501. 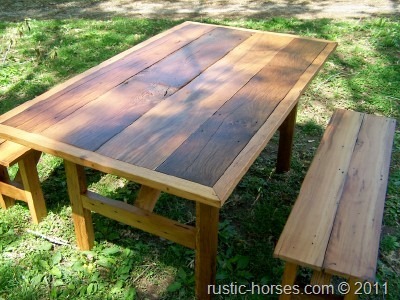 The table itself is $675, shipping varies these tables are heavy but I would probably get it there for about $375.